If you’re interested in a music system distributed throughout your entire house , Sonos makes an awesome suite of streaming audio devices that are compact, stylish, and are simple to operate. It allows you to play the same song in every room with perfect synchronicity or simultaneously play different songs in different rooms. It is very easy to expand your system to multiple rooms. 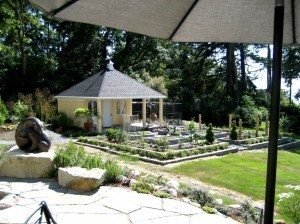 Music throughout your whole house and garden. Each of the Sonos units connects wirelessly to your router so it can access your music library from anywhere in the house when connected to your favorite speaker, receiver, or other audio components. 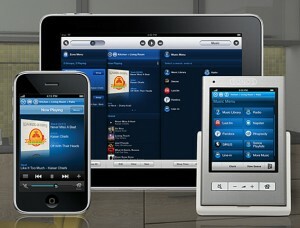 Another key feature of Sonos is access to an assortment of internet radio. You can chose from over 100,000 national and international stations including NPR, LastFM and Pandora. One of my personal favorites is getting radio stations from around the world. Who would have thought there was a radio station in Antarctica, they play good dinner music. 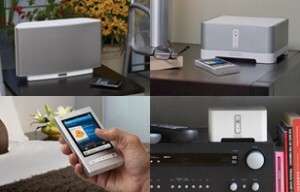 Sonos audio systems are also very simple to operate. There are a few control options including the Sonos handheld controller, through your PC or Mac, or even your iTouch, iPhone or iPad. For more information or if you would like a system installed please give us a call 415-892-5573 or email us at ssm723@aol.com Please check out our website at http://www.hometheatersolutions.com for more great ideas. For those living in Marin, Sonoma, Napa, and San Francisco Counties we offer prompt delivery and setup.